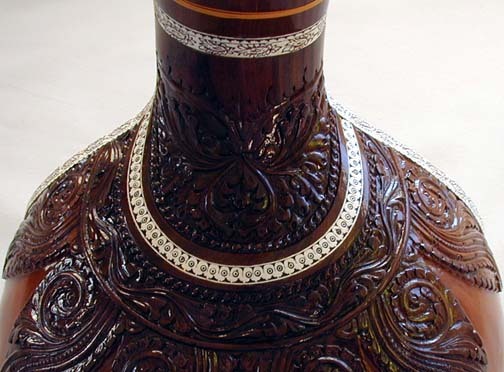 Aged premium Indian teak wood. 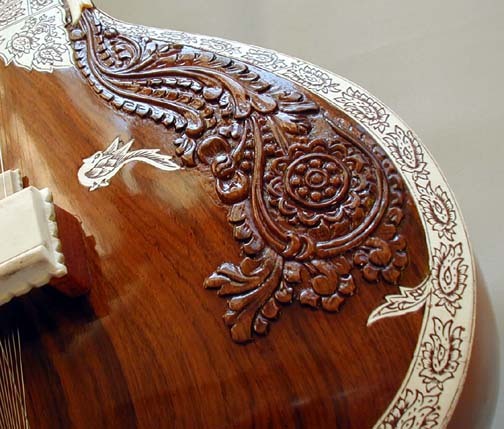 Fully carved by the same craftsman who does work for the Hiren Roy shop. 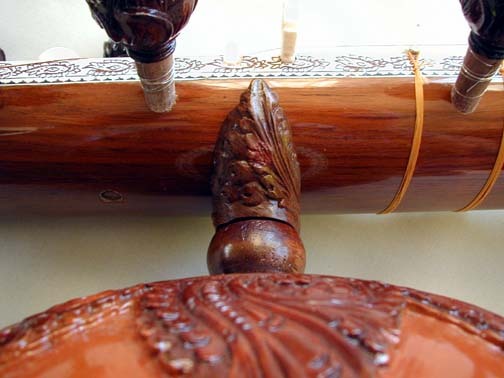 Modern style tarab string outlets. 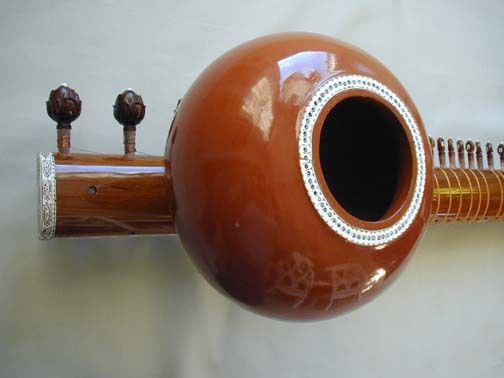 Comes with a fiberglass hard case included in the price. 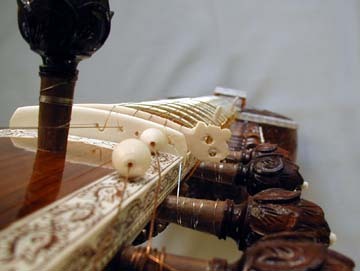 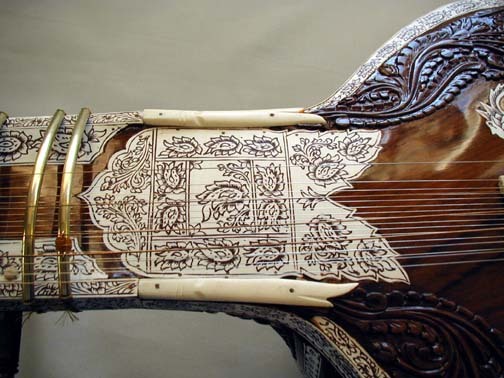 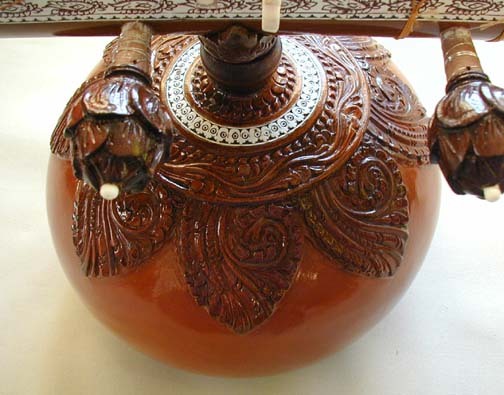 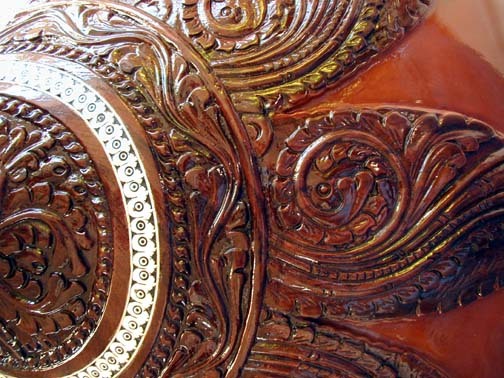 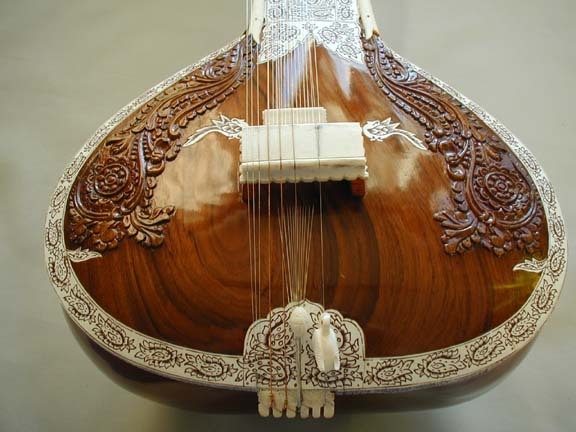 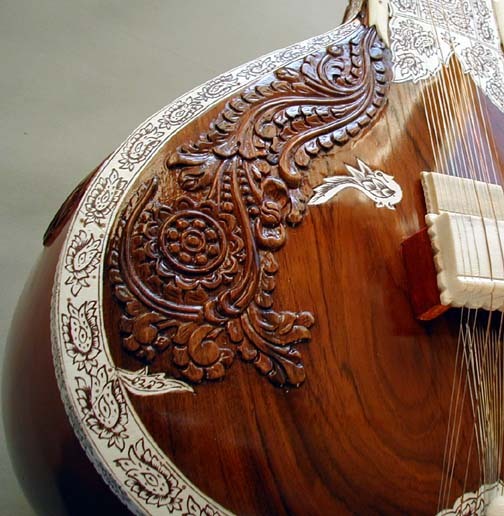 The Manipur style carvings are often seen on Hiren Roy sitars but generally not common. 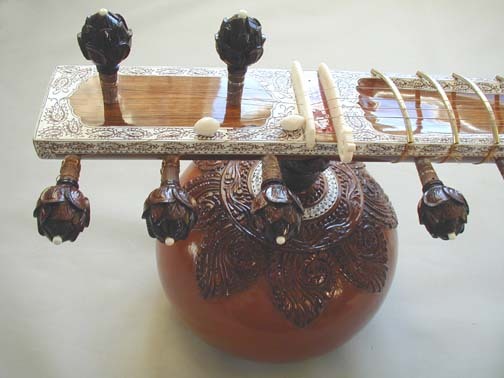 A very nice teak wood sitar! 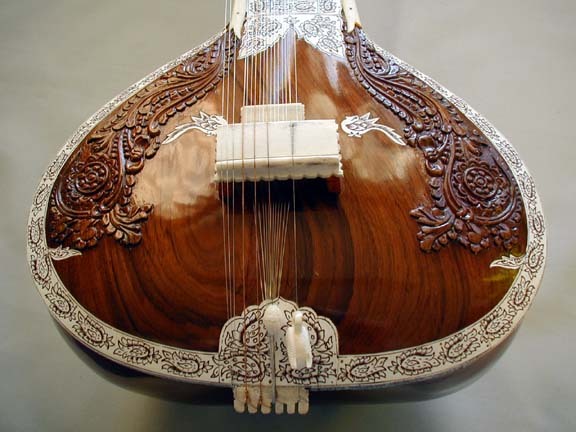 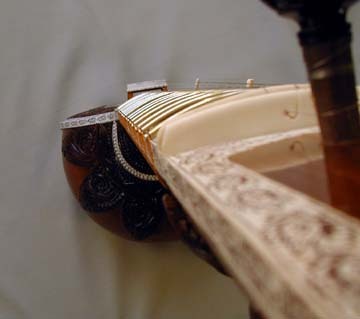 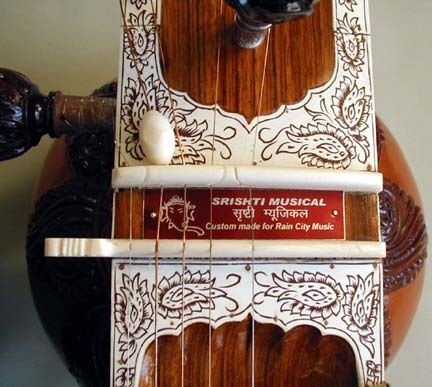 Add a fitted duplicate resin bridge for $50 with sitar purchase. 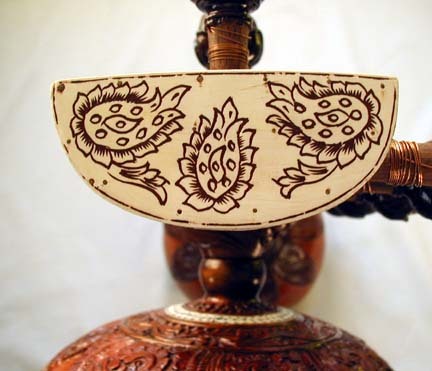 We are no longer ordering these for in stock. 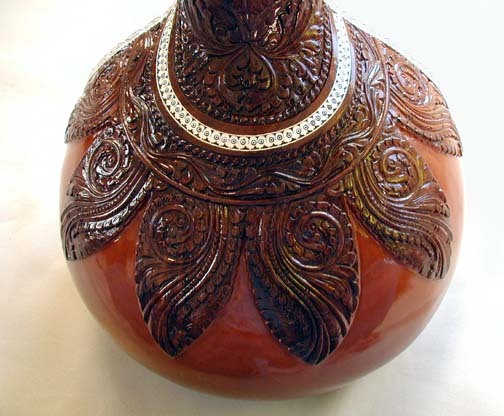 I can take your custom order however, will be made by Naeem Sitarmaker in the future.